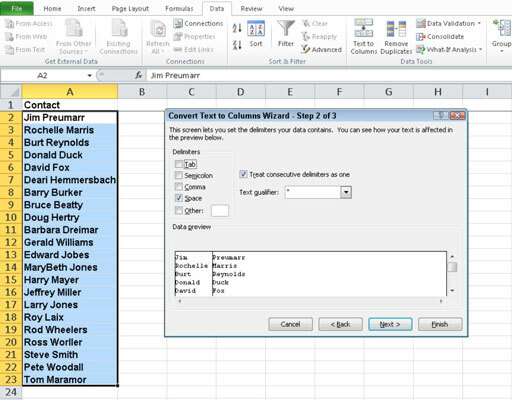 Use the Convert Text to Columns Wizard in Excel 2010 when you need to split combined data into separate columns, such as a first name and last name; or city, state, and zip code. This type of combined data often results when you open or import files created in another application. 3Click the Text to Columns button in the Data Tools group on the Data tab. 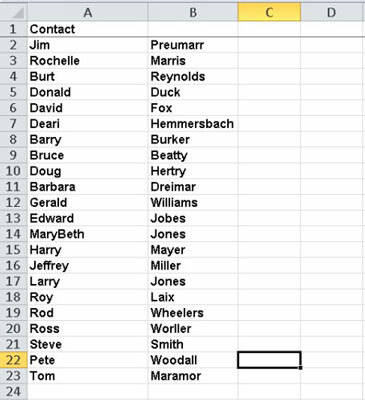 If you’re separating text that is variable in length, such as a first name and last name, select Delimited. If all cells contain a specific number of characters, choose Fixed Width. 6If you selected Delimited in Step 4, select (or type) the character you use to separate your text. The third page of the wizard appears. 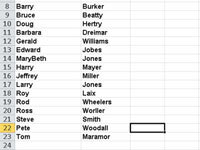 8Assign a data type to each column, if necessary. 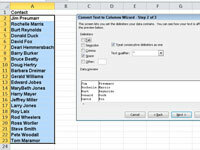 Select a column at the bottom of the dialog box and then select a data type (General, Text, or Date) for each column. For numbers other than dates, choose General; click the Advanced button to add a thousands separator or to indicate how many decimal places to show.